Is anyone a super lovey dovey heart type person?!?! Ahh, yeah, well I'm not at all. It's not that I don't like romance or love my husband, I just dislike hearts!! True story, my friends that stamp with me on a semi regular basis know this is uber true. 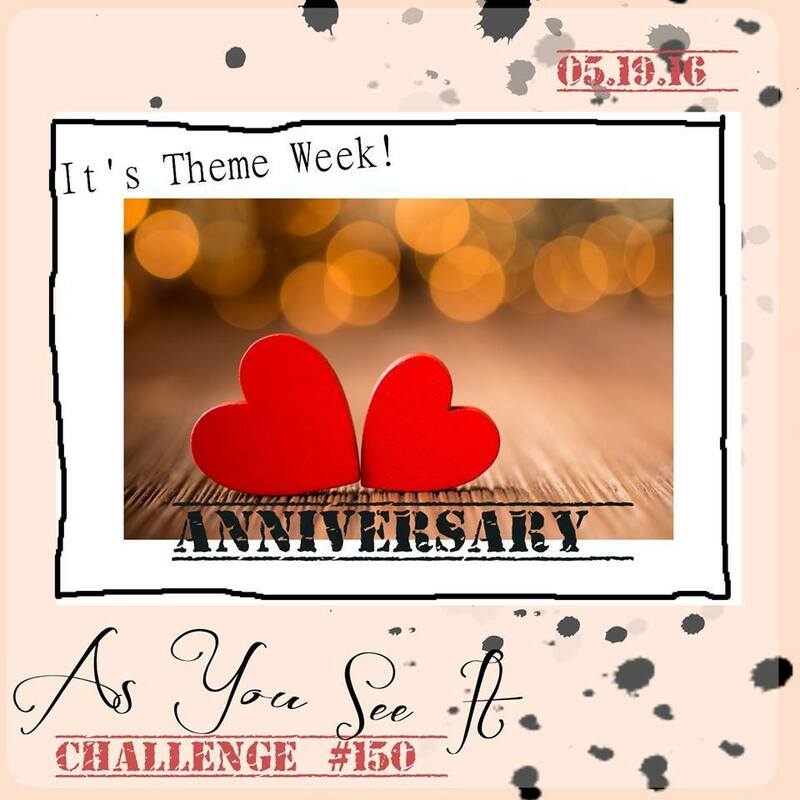 Anyway, moving on....it's theme week at AYSI and it's all about the love & anniversary! So, confession time these are products out of the SU! Occasions catalog that SU! sent me to make samples with, super awesome right?!?! Check out those hearts though. ;) I'll admit when I opened up the box of materials they sent I gulped, it was the most romantic box of supplies I'd ever seen. You know what though, I LOVED them!! It made me stretch my style and really work for it. So here is what I did. 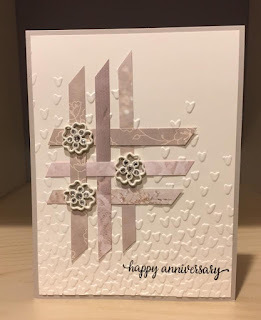 Embossing folder for the background, but make sure you stamp your saying FIRST, then emboss. Next I wove strips of paper and attached with glue dots, add embellishments, and put it all together. Look at all that romance right there!!! Love these products?!? Make sure you order them soon because they are on the retirement list from SU! When you just can't stop..... watercoloring! I'm totally on a watercolor kind of kick. Granted it's not really traditional watercolor but it is filling my creativity hole lately. 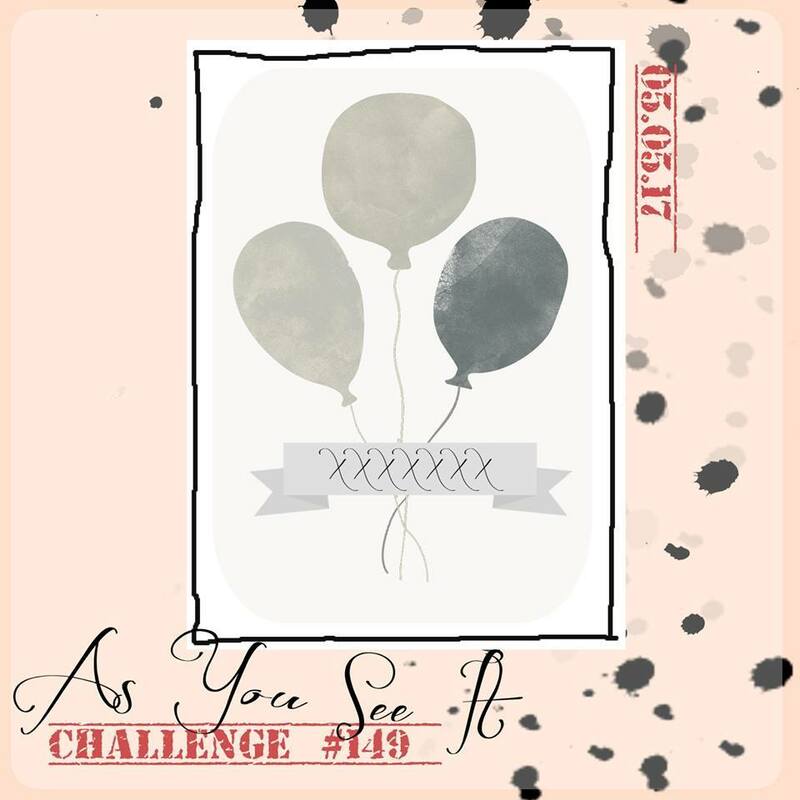 First though let me show you the layout for this weeks challenge! Classic and simple with a tad of fun! Don't you love it??! Let's talk through what I did. 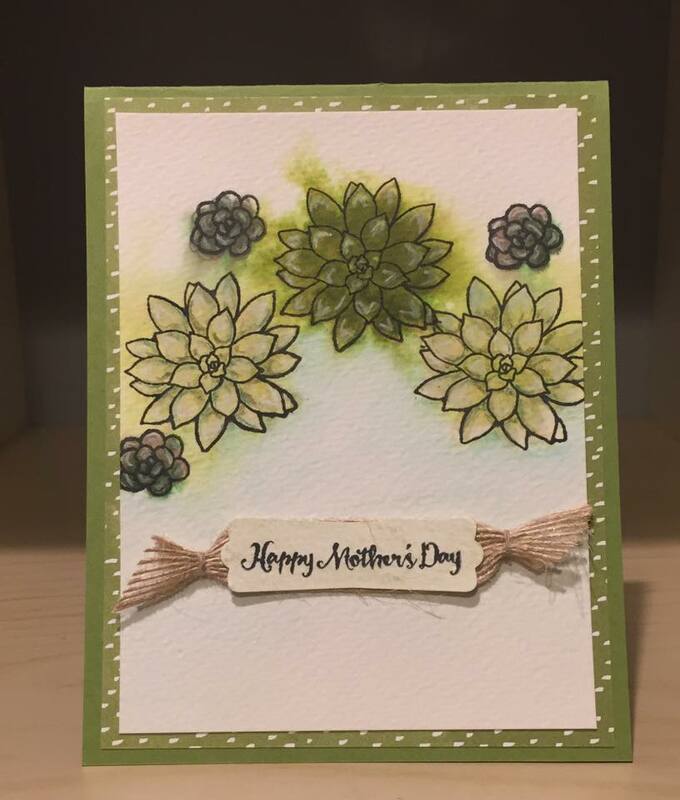 First I stamped with the succulent stamp set on watercolor paper. The middle is full strength Always Artichoke and the ones on the side are stamped off once. 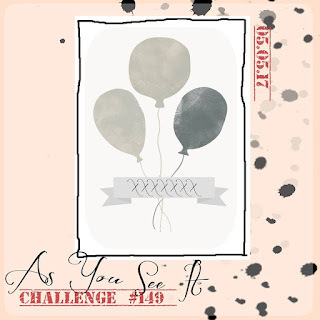 Then I Stamped the outline with Staz-on. Next take your mister and spritz water all over the card to spread your dye ink. I dried it with my heat gun, because let's be honest I'm not waiting for water to dry these days!!! :) Next, I went back in with my water color pencils and added details and water colored the background. Lot's of steps but really pretty basic!